In its largest wheeled new-model release that I can remember, Arctic Cat unveiled 15 news new 2015 ATV and ROV (side-by-side) machines last night at its dealer show in Las Vegas! 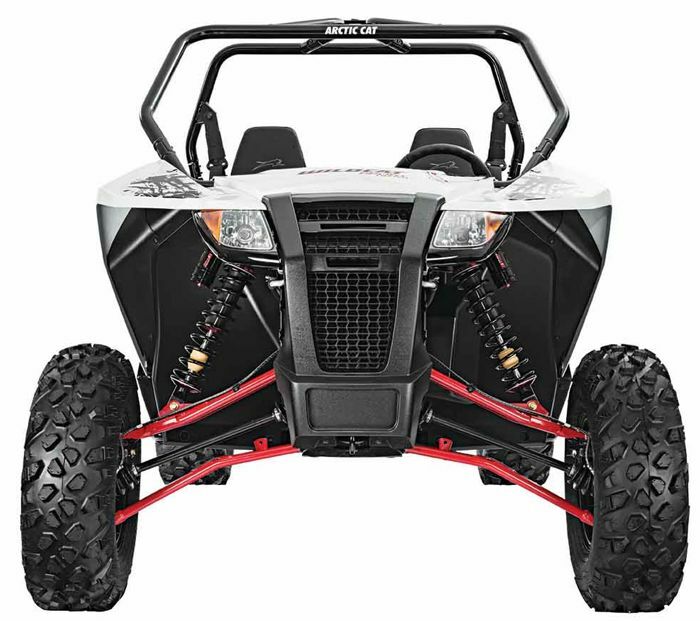 In addition to its new XR ATV line and Prowler XT models, the big news is this all-new 60-in. Wildcat Sport. Slotting in between the original Wildcat (64-in. wide) and the new-this-season Trail (50-in. 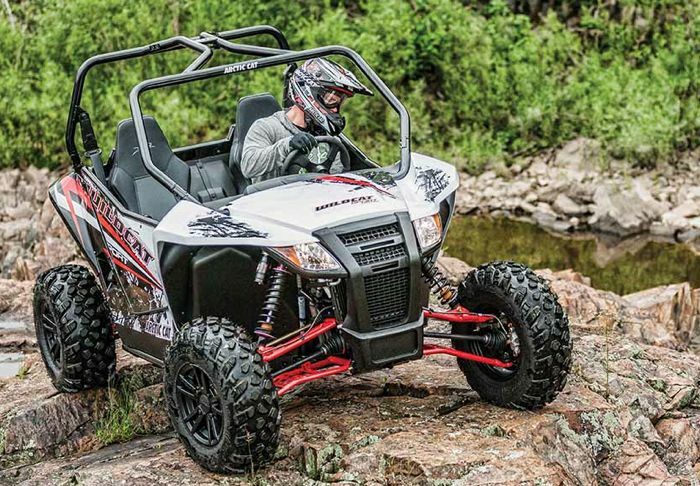 ), the trio of Sport models hit a sweet spot of performance and maneuverability. Each is powered by the 60-plus HP 700 Kymco engine. *New 110.5-in. length x 60-in. width chassis dimension slots in-between the original Wildcat (120- x 64-in.) and the Wildcat Trail (110.5- x 50-in.). 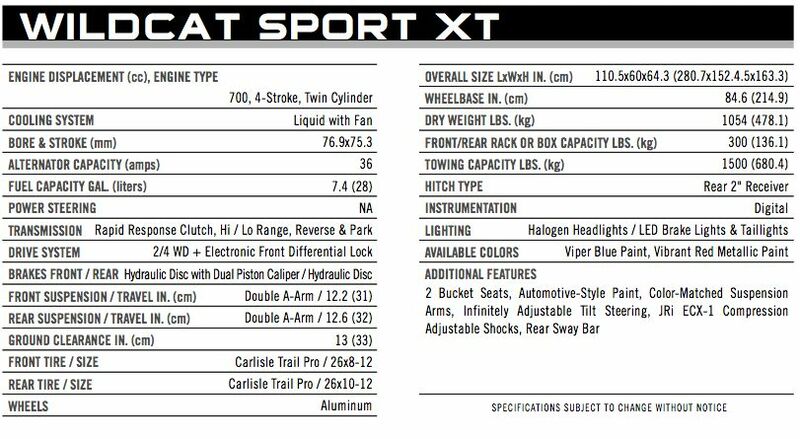 *Double A-Arm front/ rear suspensions with rear swaybar feature 12.2 in/12.6 in. of travel, with 13 in. 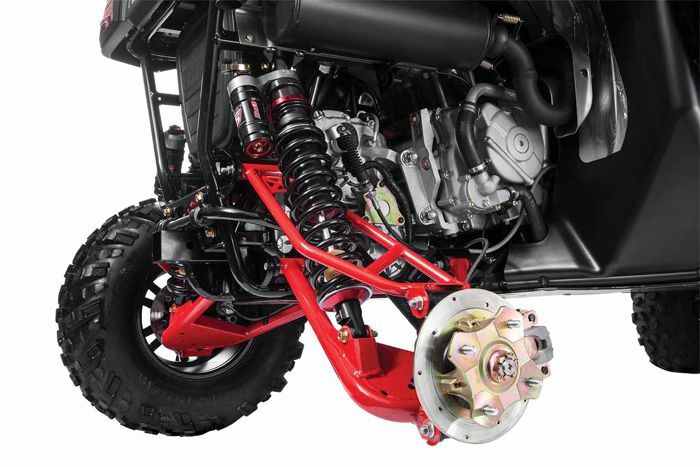 of ground clearance, for premium handling and comfort in all terrain conditions. 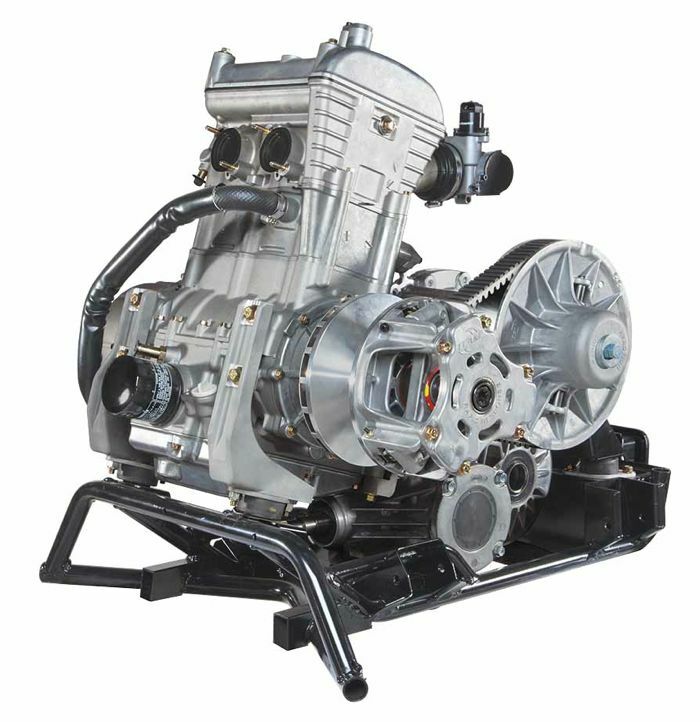 *60-plus-hp 700 parallel-twin 4-stroke engine with closed- loop EFI, SOHC and liquid- cooling provides class-leading performance, durability and excitement. 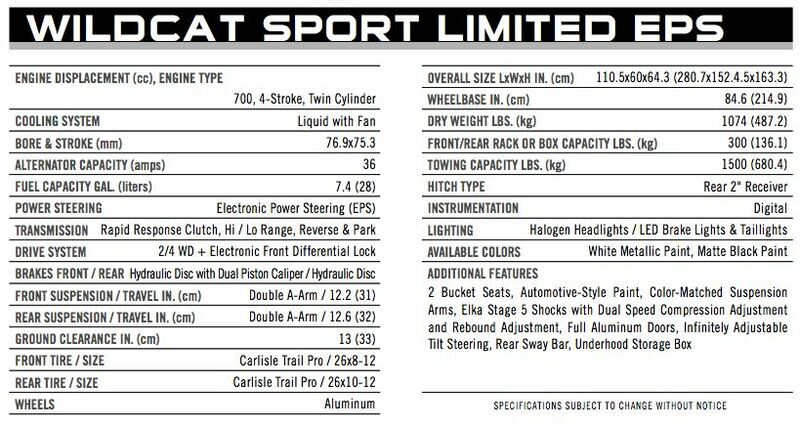 *New Carlisle Trail Pro 26-in. 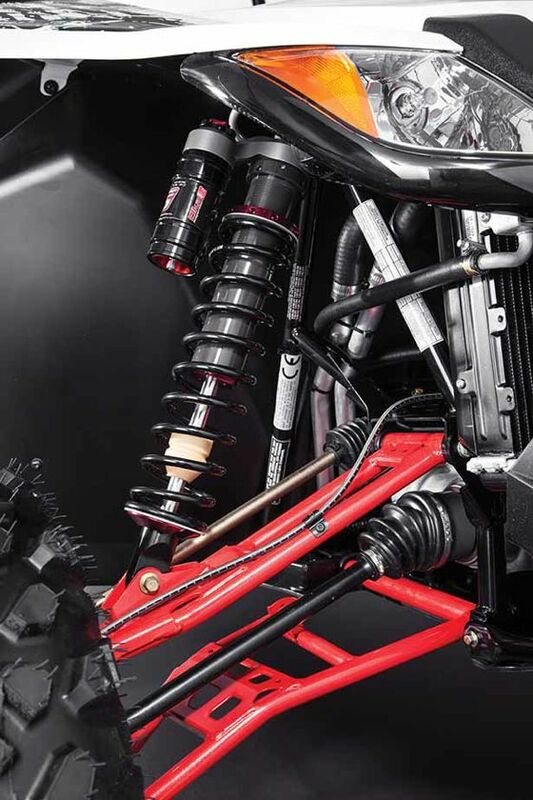 ?tires provide optimal traction, durability and flat-protection in a wide range of trail conditions. 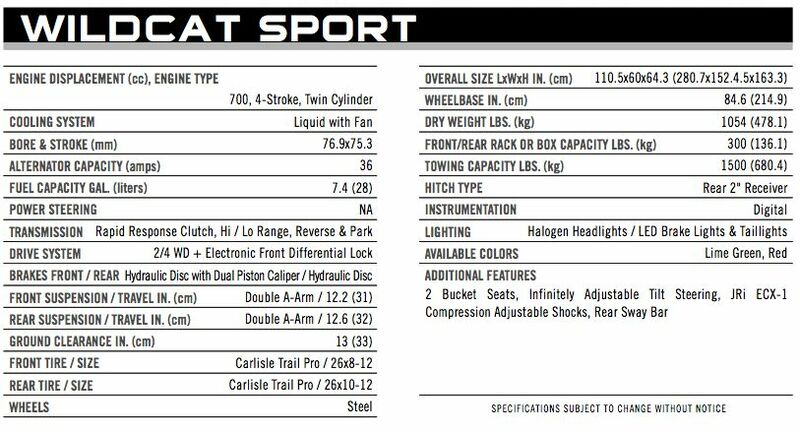 *New fully variable tilt steering mechanism offers greater overall range, infinite adjustability and increased room for driver entry and exit. *Easy-hinge doors with automotive-style handles and latching ease vehicle entry and exit. 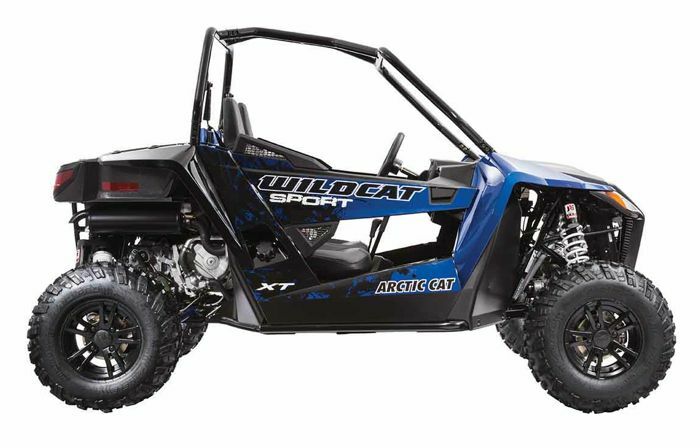 Click HERE to see the Arctic Cat site featuring other details and video about the new Wildcat Sport and other 2015 models. 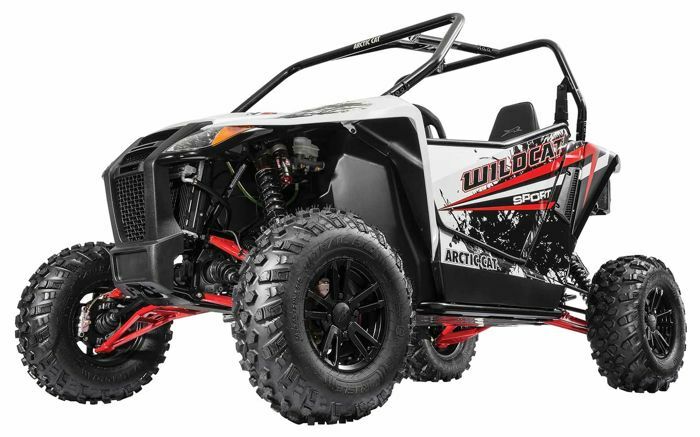 In its largest wheeled new-model release that I can remember, Arctic Cat unveiled 15 news 2015 ATV and ROV (side-by-side) machines last night at its dealer show in Las Vegas! Should that have read "15 new" not "news"? Damn proofreader interns here at ArcticInsider! Wait... come to think of it, maybe I should actually hire one? Nobody would like date a " friend,a working male as their pants may be more restrictive in comparison to what ours! likewise, that will indicating our team way through we be interested in.